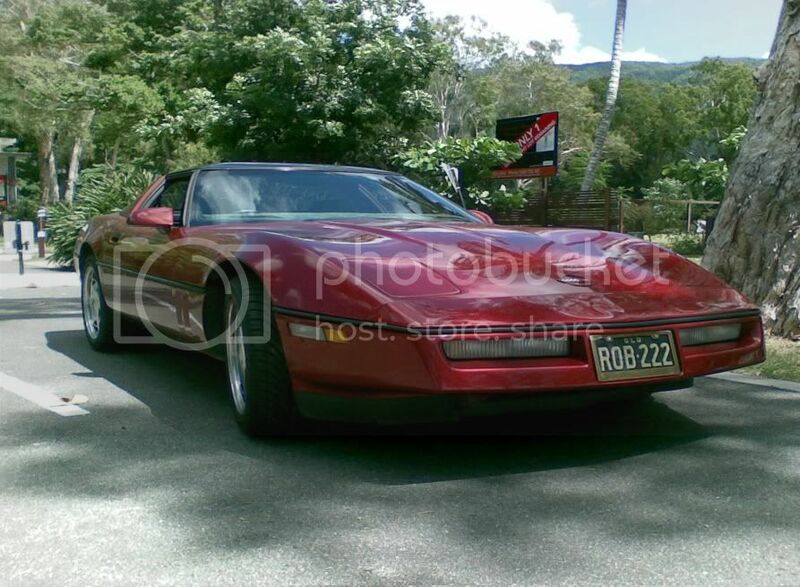 June 2010: I drove the Corvette down to the Charters Towers long weekend carshow – a distance of about 481 kilometres (300 miles). It’s the place where a quiet beer outside your motel room can turn into a minor street party with a couple of dozen people, laughing and talking under a clear starry sky. Where, after walking a couple of K’s on a crisp cool night to the RSl, they tell us there’s not enough food and then big old American Cars appear as if by magic and ferry us to the best pub in town with thick juicy steaks and good company. Friday morning we set off from Cairns doing what we and our cars love best, driving. 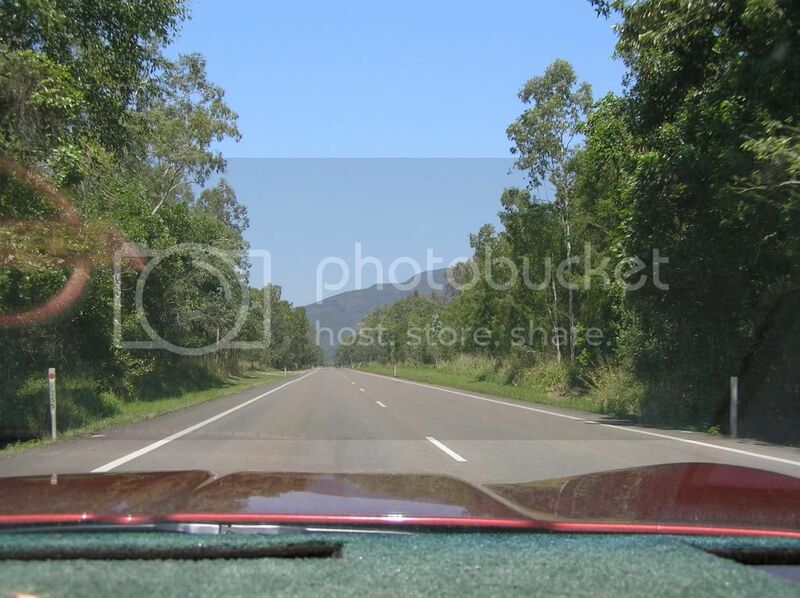 The scenery changes from lush green tropics to the dryer vegetation of Townsville and then the Outback. We keep an eye on the gauges of our special cars, temperature, oil pressure, fuel. All is well. We refuel, get some food and try to find out who’s got the thickshake. Our cars eat up the distance, purring along and arrive in time for a quick detail before dusk. A yarn or three over some coldies, and the day finishes watching a footy replay, tucked up in our beds. Not bad. Saturday morning there’s breakfast at the Showgrounds then a wander through the Swapmeet looking at all the stuff we’ve thrown away over the years. Many interesting cars and machinery are on display and the morning goes quickly. Soon it’s time for the midday procession where the locals wave and take photo’s as we drive around the main streets of Charters Towers. There’s friends to catch up with, cars to look at and discuss under a clear blue sky and perfect temperature. Around 4.30pm we head back to the motel for a few coldies and more detailing. People keep arriving to say hello and then stay to chat and laugh. Chairs are found and some people sit, some stand and there is a great feeling of fun and friendship all round – even with the bikie who has a knife scar across a half closed eye. At 9pm we order Pizzas for the mob and one and a half hours later it arrives. There is a Piranha like feeding frenzy as everyone dives in. Sunday is the day for official judging. 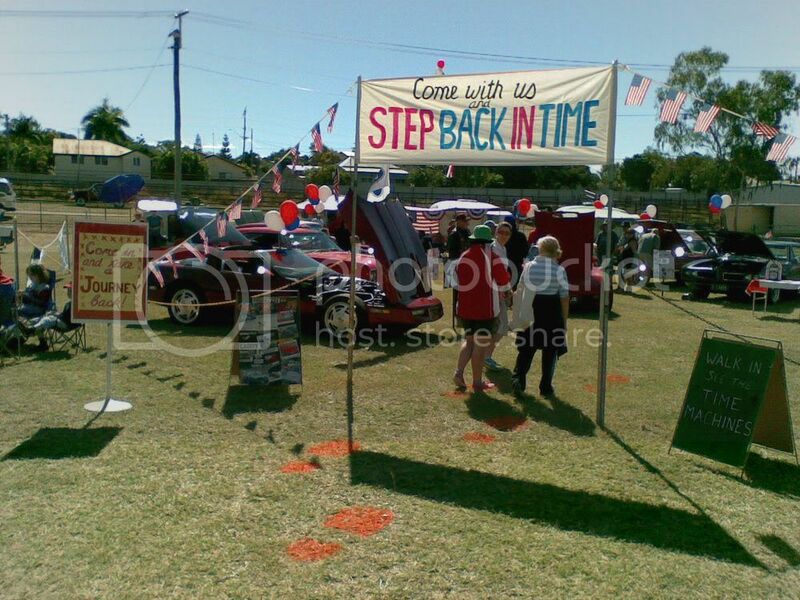 Our club has planned another excellent display, the theme – Traveling Back In Time. Each car has a sign at the front showing the events from the year it was built. There are red white & blue helium balloons floating above each car. American flags, bunting, a large sign above the entrance to our chained enclosure and giant orange footprints all lure the crowds in to check us out. The number of cars on display doubles. There is more to look at and on a walk around we see only one other club display, based on a visit to the Drive-In. Our display seems so much better. 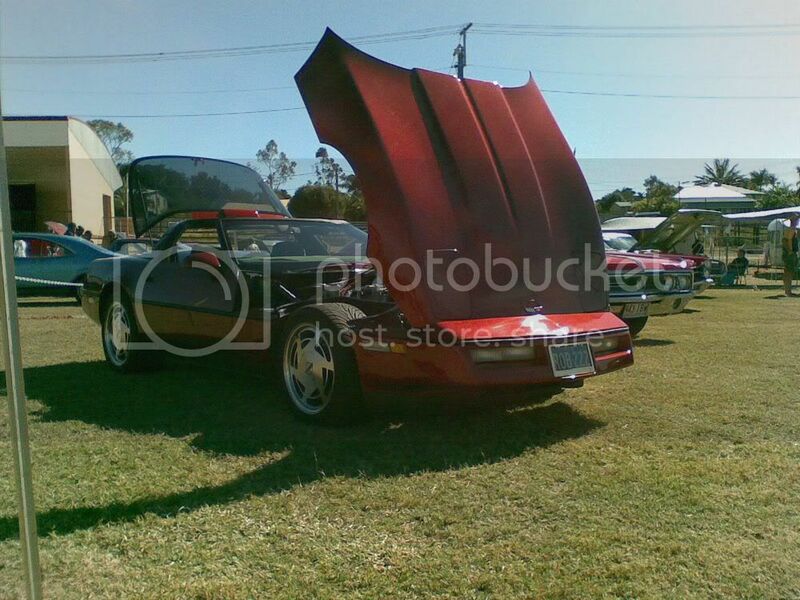 Another walk around the Swapmeet, a chat with Rob Casper and a new Corvette owner from Townsville where I appear very knowledgeable about matters C4. I give them some handy Corvette info. It’s amazing how much knowledge I have picked up in 7 years of vette ownership!! At 2pm we drive through the streets again then chat to friends in the shade of the Club Tarp before presentation at 3.30pm. We don’t win the club display and I grumble about sending the judges the name of a good optician, then it’s back to the Motel for a few coldies. Our magic weekend continues when we are rescued from the food depleted RSL by John’s Wildcat and Bruce’s GTO and taken to the Waverley Hotel where the Steaks are juicy and our car club sits united at a long table, drinking and eating. Monday morning we begin the drive home, there seems to be less traffic than last year and we make good time back to Townsville. Half a chicken and chips fills the hole made by breakfast and lunch. Kel, Bruce, John, James and partners arrive with their caravans in tow just before we leave to continue northwards. A refuel in Cardwell and we’re back in Cairns at 3.30pm. 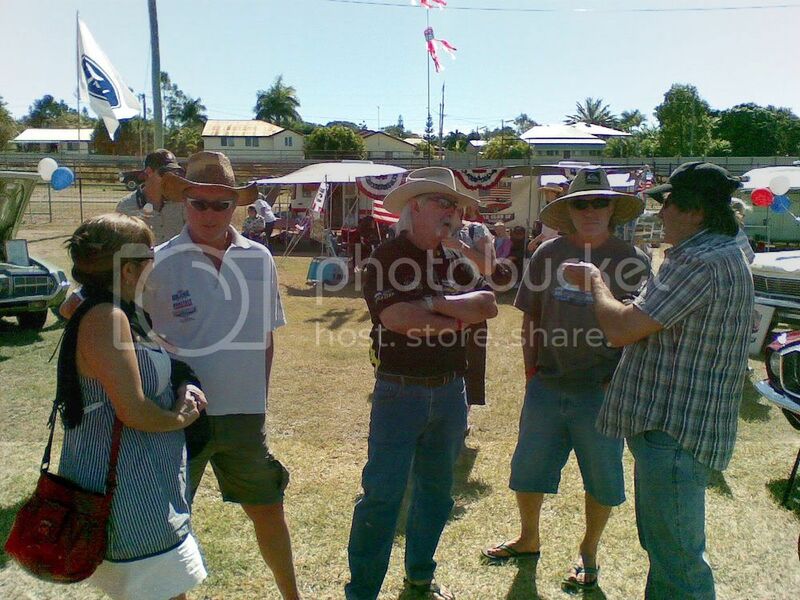 Another magic Charters Towers weekend. looks like the usual good time was had by all. How is the club ticking along in general? I hear that the economy up there has taken a fair old drop over the last year or two. Is that so and is so what has been the affects on the club etc? Life in Bne is still pretty good and Pauline and I have no complaints. I have been trying to sell Paddies Tbird but so far have had no luck despite showing it off at a few pretty big car shows.